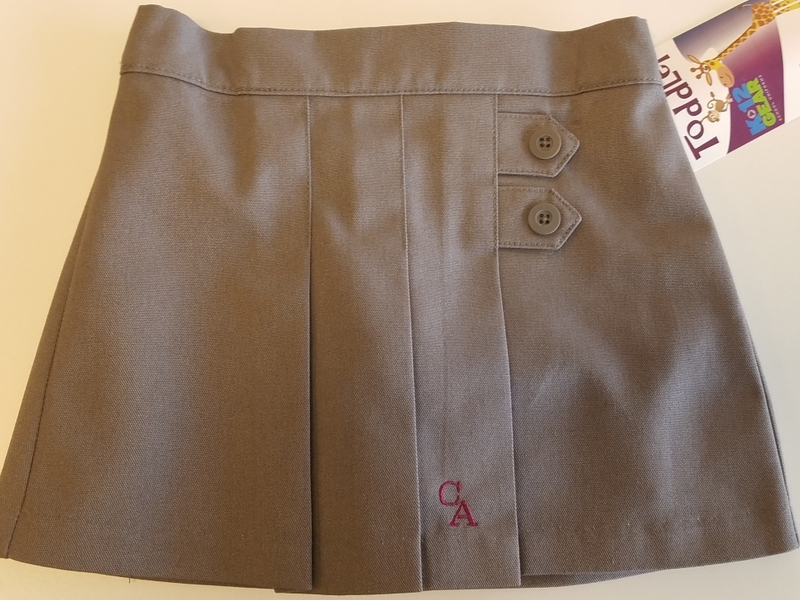 Cambridge embroidered skirt with shorts (skort/scooter) starts at $14.99 for toddler sizes and is $16.99 for sizes 4-20. The toddler skort is a different style from the large sizes. 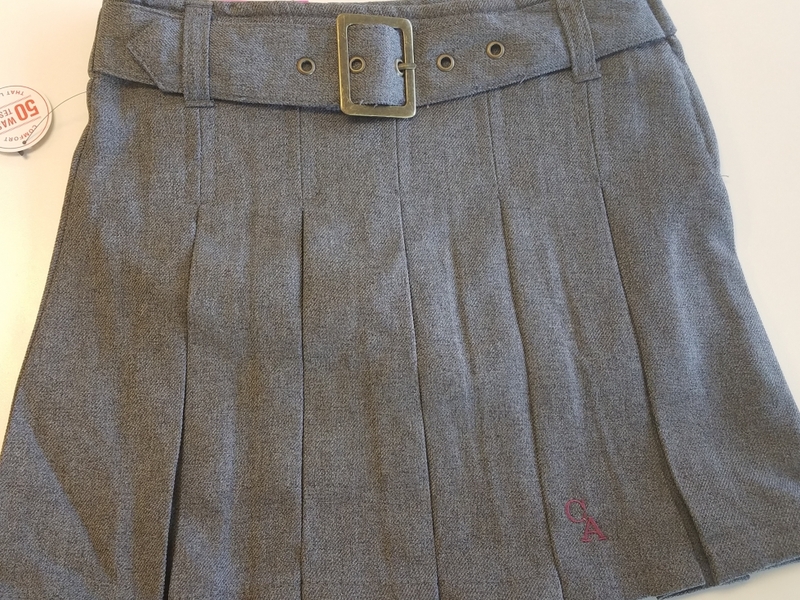 These are worn by the pre-K through 8th grade girls, as the Spring Uniform.